Last week (August 4th of 10th) was the first annual Geek Week on YouTube. So if you are a geek or a wannabe nerd, head on over to view geek culture from around the world. 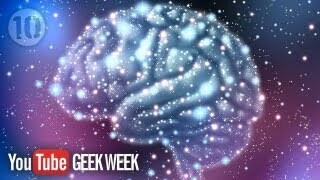 This month’s ‘Geek video of the Month’ was part of Geek Week’s Brianiac Tuesday and features 10 Videos that will make you smarter. Excellent work. You may also want to get involved with the Geek Test that is featured on their channel, to find out ‘What’s your Geek IQ?”. We are really looking forward to the next Geek channel takeover, hopefully for a month next time, as their is clearly too much Geeky content being shared. Well done to Jason Bradbury (of Gadget show fame) for launching his own YouTube Channel 'Supa Robot Attack' on Gaming Thursday, the channel brings remote controlled fighting robots to YouTube.